... but some are more gray than others. 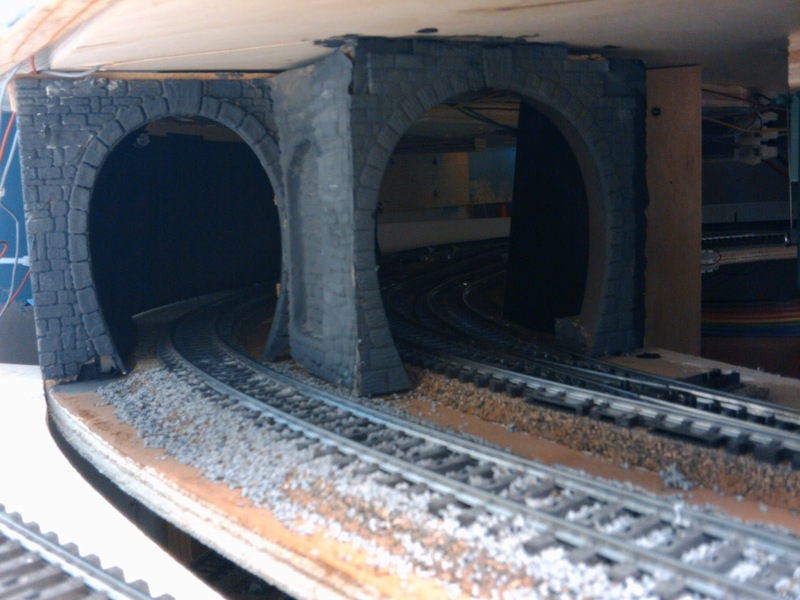 I spent some more time with the tunnel portals to staging, cut the walls, and did a lot of painting. On most of the photos below the color is still wet. 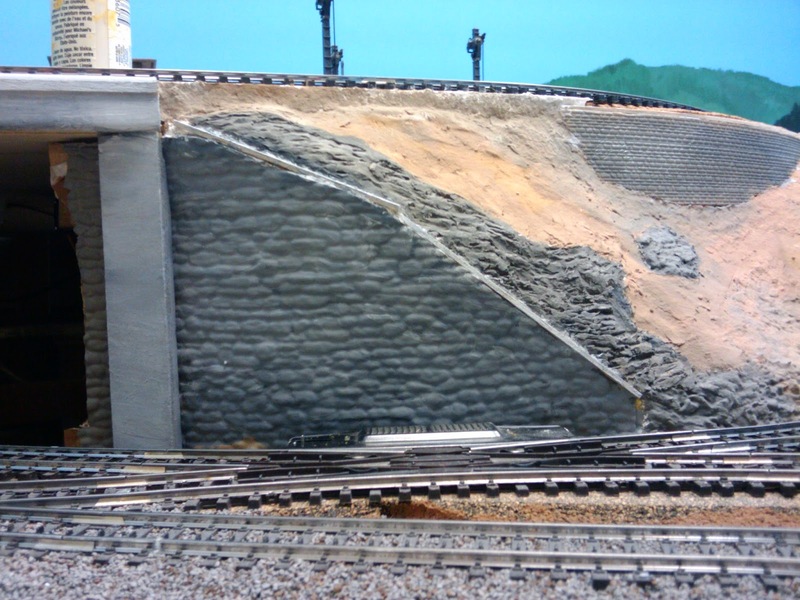 Stone wall just outside the bridge/tunnel. 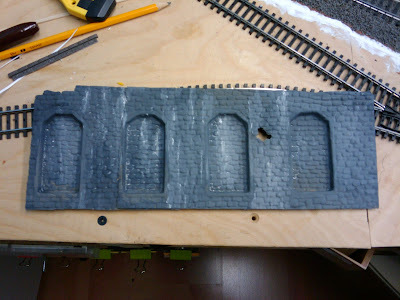 I also painted the rocks above the wall. That brown slope in the background will get grass and bushes. 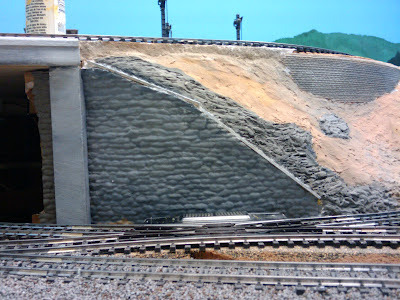 This wall will go under the bridge to the left of the wall above. And finally the actual tunnel portals. The wall in the previous photo will close the gap on the right.